For a thousand years, a kingdom lived in terror under a dark wizard with a magical book. Nobody saw the mysterious book again; they presumed it had been destroyed. But the legacy of that evil ruler was never forgotten, and fear remained in the village. After the sorcerer was poisoned by one of his guards, all magic was banned forever at the royal palace—even during special events like the one all the townspeople were about to witness. It happened on a Sunday morning. King Alessio and Queen Constanza were more than ready for the celebration. They both hoped for a perfect day, which meant no magic of any sort or spells offered by the master wizards. The royal couple had made every notable attempt to have a normal life. The queen oversaw the rehearsal of the entire ceremony six times. The king practiced his speech nine times. And they both reviewed every agenda twice. And a third time. And just in case, a fourth time. Not an easy task considering their busy schedules. They were confident that nothing had been overlooked. Yellow rays brightened Enna Valley. Villagers opened the windows and doors of their shops. Not a single cloud covered the blue sky. Cypress trees danced to the rhythm of a pleasant song. “Where is that music coming from?” an artisan asked, inching along Main Street. He carried a basket full of handcrafted straw hats. “Don’t you know? It’s Presentation Day!” responded a small boy as he struggled among the multitude of adults. Flowers decorated the entire village, softening the massive architecture of the Brightalia Kingdom. Even gargoyles had lavender stuffed into their monstrous mouths. Tilted or straight, every statue had a laurel wreath on its head. And like candy canes, there were red ribbons wrapped around the carved white columns of Piano Plaza. Diamond Palace sat atop a green hill overlooking the valley. It was the most impressive building in town. Its corner towers were totally covered in stained glass and flashed radiant colors in the sunlight. The same dazzling rays that made the day look perfect. Peasants and villagers had already started gathering at Piano Plaza, right in front of the royal residence. The crowd chatted. There was excitement in their voices. Children played around the plaza. The Diamond Presentation was about to begin. A new princess had been born. “Here they come!” said Enzo, jumping up and down. He was an unusual boy, with the outline of a fish on his left cheek. “I wish your dad was here,” mumbled his mom. After the unexpected murder of her husband, Julia had no choice but to flee from the neighboring kingdom of Castella. Now living in hiding, the new widow and refugee carried the heavy burden of supporting her poor son. “Let’s keep walking to the front,” added Julia as a tear rolled down her wrinkled face. Not as old as she looked, the woman was only in her late forties. Many blamed her lung disease for her prematurely aged appearance. Even her own son had teased her about getting old too soon. Guards lined up along the palace’s entrance, and the band began playing at the veranda. The blare of the trumpets was majestic. The double doors of the main balcony opened up, revealing the royal family of Brightalia. A hush descended over the multitude. All heads turned toward the magnificent palace. Alessio XIV carried his baby girl with deep affection. Next to him, Queen Constanza proudly stood, holding their son’s hand. Both King Alessio and Queen Constanza shimmered with their royal crowns. They flashed their most jubilant smiles. Prince Drago also grinned from ear to ear. King Alessio stepped forward and said in a tender voice, “All these people are here to see you.” He gently squeezed the baby in his arms. The king wore a long coat with matching midnight blue trousers. His ruffled white shirt and thick belt were perfectly aligned along his round belly. The baby princess had an impeccable white flowing dress. The long delicate gown rippled in the soft breeze. Queen Constanza also advanced to the front of the balcony. Her fine cloak trailed behind her, giving everybody an exquisite feel to the moment. The elegant off-white gown was embroidered in gold and silver. The blue diamond on the queen’s necklace was the highlight of her attire; not to underestimate her slim figure. Prince Drago, who kept his pace next to his mom, wore a black ceremonial outfit. As the royal family reached the front of the balcony, drums began to beat. With great pride, King Alessio presented his daughter, raising her up into the air. Queen Constanza royally saluted her citizens. Prince Drago, with a poker smile, also greeted the multitude. But it was Princess Martina who captured everybody’s attention. She opened her eyes and looked at the crowd. Her dazzling eyes glittered with the sun, a violet color never seen before. Her hair was shiny black, and her rosy cheeks enhanced her soft white skin. Everybody was stunned. It was a special moment in the history of the Brightalia Kingdom. Inside the palace, royal councilors and ambassadors had already lined up to bow and curtsy to the new member of the royal family. Later, selected villagers and farmers were to join the procession to greet the baby princess. As Enzo and his mom got close to the crystal bassinet, the little boy placed a small present at the feet of the baby. “This is all I have to give you,” muttered Enzo, looking at Martina. “Dear! This wooden box might seem empty, but it’s actually full of good wishes,” said Julia in a kind voice. “Thank you for the thoughtful gift,” said King Alessio. Julia lowered her head. “Oh! Your Majesty, I needed to be here today. My husband passed away, and I was left with nothing. Please help me. I’m in desperate need of a job to feed my son.” She rested her arms on Enzo’s shoulders. “I am sure we can assist you, madam. Bring your alms request next week.” King Alessio smiled at the three-year-old boy, ruffling his hair affectionately. “Father, hurry up!” jumped in Prince Drago, rolling his eyes. He gave Enzo a stern look. Enzo turned his head away, pretending to be gazing at the banquet buffet, which in fact, was unquestionably more appealing than the prince. He forced himself to remain quiet just as his mother had instructed. “I will see what the Royal Council can find for you,” added King Alessio. Then he raised his hand politely, showing Julia and her son the villagers’ area in the stylish ballroom. As the young boy and his mother reached a corner table at the back of the great hall, a loud screech sounded. The noise quickly filtered inside the ceremony room as if a firecracker had crashed to the floor. The precocious boy darted to a window. He spotted a white bird flying toward the palace. It flapped its long broad wings a few times and then glided over the plaza. Chaos grew among the throng. Some people ran to adjacent streets. Others crawled along the grass to find refuge behind the stone benches or under the closest maple tree, while some stood like mummies as their jaws dropped. Enzo poked his head out of the window. “It’s a white fish eagle!” screamed the boy eagerly. He clambered up to the stone sill. “Enzo, nooo!” yelped Julia, coughing. Her voice trembled with fear. She took several deep breaths, trying to get some air into her lungs as she rushed behind her son. The large fowl squealed, picking up speed. It brushed the balcony with its hooked bill, letting out another wail. Enzo covered his ears, deaf from the loud cry. As much as he tried, he could not keep his balance. The boy toppled backward, falling down to the floor. “Ouch!” Enzo scooted to his mom, his eyes fixed on the fluffy feathered creature. King Alessio raced to the window. His heart jumped to his throat as though he had just crossed the finish line of a fifty-meter dash. He narrowed his eyes at the bird. Enzo was correct: a white fish eagle. The bird was unusually large—almost the size of a dragon. “What’s going on?” mumbled the king between his teeth. “Are you okay, boy?” interrupted King Alessio. And there was no time to say another word. The white eagle thrashed inside the ballroom. It tripped over two champagne fountains. Bubbles and glass covered the wood floor. Guests fled, pushing each other out of the way to hide, horror-stricken looks on their faces. The fish eagle headed toward the baby. It dug its claws into the bassinet and settled for a moment. Then, the imposing bird extended its wings and emitted a harsh squawk causing some of the stained glass in the tall windows to break. Finally, it flew back out, soaring up into the open air. King Alessio paused for a moment, forcing his anxiety down. He cleared his throat loudly. Then he turned back to the startled guests. “Everything is fine. It was an ordinary annoying bird. It’s hard to teach animals proper manners,” said the king, trying for a fake laugh. 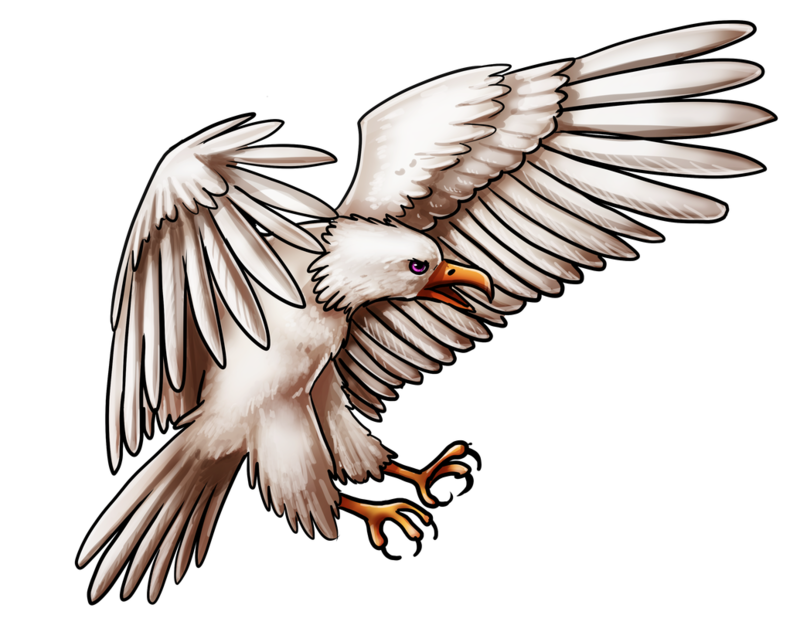 The white eagle kept circling around the palace, five times according to Enzo. Straight away, the crystal cradle twinkled in the ballroom. A violet light gleamed up to the ceiling. After a second or two, the bassinet slowly rose into the air, a few inches off the ground. It was better than watching a neat performance of a levitation act. It floated toward an open fire. The flames began to vanish rather quickly. They changed from vivid red to a cream color, and it did not take long for the entire flames to be gone. A stream of smoke lingered in the grand ballroom, and only sand remained at the hearth. King Alessio and Queen Constanza exchanged astonished looks. “Sand?” they whispered at the same time. The queen could barely speak. “What’s happening?” She pressed her hands against her chest. A rush of panic swept over her. She was paralyzed in fear. A good omen for the baby, I hope! thought King Alessio with a tense face. He was not able to articulate even one word. As much as he tried, this time he could not manage to hide his nervousness. Still suspended in midair, the bassinet swayed to the center of the room. Palace visitors moved in all different directions, avoiding contact with the floating cradle. At last, it made a safe, steady landing on the dance floor. The air cleared completely as if a vacuum had sucked up all the smoke. “It is time to take you to the nursery,” said Queen Constanza, grabbing the newborn baby from the bassinet. Queen Constanza smiled at the guests, and holding Martina tight in her arms, she led the way out of the ballroom. Councilors clustered around the bassinet. The bemused villagers looked at one another. Enzo, who also wanted to inspect the cradle, felt a strong grip. Julia had crushed his small fingers. A complete hush filled the room. Everybody resembled a perfect statue, except they did not have laurel wreaths on their heads. But King Alessio took a deep breath and immediately signaled the musicians to resume playing. It took some more gossip time for the posh nobles to start enjoying the celebration. Some councilors went on the dance floor while many gathered around the exquisite buffet. Enzo maneuvered around the hors d’œuvres tables, spotting a tasty pastry. He grabbed a plate and filled it with cheese canapés. Doing a lively jig, he scampered across the room until he found his corner table. The same age as Prince Drago, but slightly shorter, the young peasant placed his pile of yellow canapés in front of him. His mouth watered as he caught a whiff of the melted cheese. When the boy got ready to take the first bite, the candle lights went out. Diamond Palace was in total darkness. “She’s a witch!” A voice echoed off the walls of the grand ballroom.